Even if these kids fail with their startups, they are still more employable and capable, thus they need their family’s support, organizers of the 2016 Philippine Startup Challenge suggest. 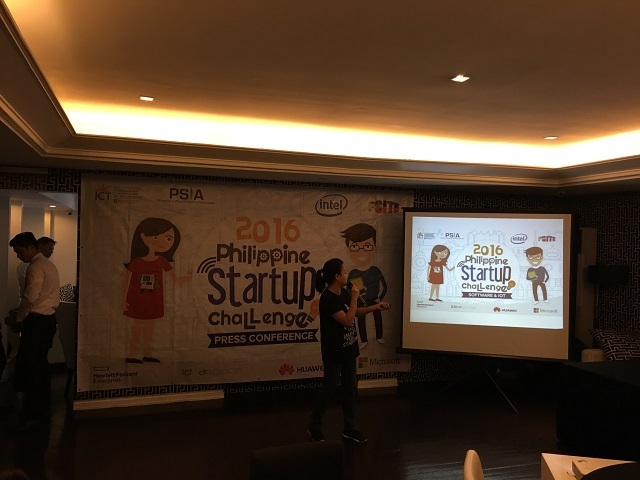 The 2016 Philippine Startup Challenge, a nationwide competition for college students to encourage them to be more creative and develop technological innovations that could solve real life challenges, launched its third installment on April 29. And this year’s challenge introduces the Internet of Things (IoT) track, an emerging trend in the industry that innovators, especially the youth, can explore to create relevant technology. IoT is the network of devices, vehicles, buildings, other items that are embedded with electronics, software, sensors, and network connectivity that enables them to collect and exchange data. Although this is the third installment already, key organizers of the competition cite the seemingly lack of support for some Filipino students by their families to pursue entrepreneurship, or technoprenurship for that matter. At the launch on Friday, Monchito Ibrahim, deputy executive director of the Department of Science and Technology-Information and Communications Technology Office (DOST-ICT Office), shared (though not in detail), that of the three winners of the first challenge staged in 2014, only one team pursued their idea and is now under the Ideaspace Foundation mentorship. Of the winners last year, TeamseyRoll, the maker of e-basura (electronic waste app) from the University of Cebu, is now making money and has already received funding from a Singapore-based venture capitalist, Ibrahim added. Sometimes, the parents stop them to pursue or waste time—whatever they want to call it—on an idea, Maity added. “Perhaps the media can also help to make them realize that it’s not an impossible dream. That even if they fail, they’re more employable and more capable,” Maity added. Maity told Entreprenur.com.ph that Bangalore—India’s IT hub—has about 8,000 startups, while South Korea has 1,500-2,000 startups. But he estimated that the Philippines has only about 200-300 startups. “But that’s a huge jump from less than 50 three years ago. If we have more success stories in the [startup scene], we would overcome that (challenge),” Maity said. But Maity said the likes of 2016 Philippine Startup Challenge is the way for these college students to know that if they want to put an effort, then there is a way for them to build a company right after college. “We usually look for the three key personality (traits) that would make a startup: hacker, hustler, and hipster—someone who’s good at programming; can do the marketing side; and do the design elements who can bring the usability aspect to the idea,” Maity said. He added that they are not only looking for those good in technology, but said it is better if it is a mixed team coming from business and other fields as well. “The technology is the enabler. It’s not the end goal,” Maity said. Apart from having a global view, entrepreneurs also believe they can walk through the wall, Maity said, so it is “a system of beliefs and boosting their confidence, hopefully they won’t hit the wall but we’re there to support and guide them along the way,” Maity said. Ruero added that teams would increase their chances of winning if they have the ability to communicate their solutions. “That’s what the education sector needs to ramp up because on the technology space, we can and we’re able to manage. But on the business and soft skills side, those are also something we like to learn from the mentors,” he added. So how are the organizers, led by DOST-ICT Office’s seedPH initiative, are enticing more participants to join this year’s startup challenge? While the winners will not receive any cash prize, Ibrahim said the winners will be mentored by partners from the Philippine Industry Software Association, and other prominent names in the country’s startup scene. Corporate partners like Intel Philippines, Huawei, HP, Microsoft can also provide immersion programs to the winners, Ibrahim pointed out. The organizers will be hosting a boot camp series together with Intel Philippines for college instructors and professors, who act as mentors of participating student teams in the competition. Lean Startup 101 and IoT boot camps will be conducted in various locations across the Philippines. The 2-day bootcamp will cover topics on developing startup ideas; creating viable business models; best practices in effectively operating a tech startup; as well as basics on building IoT solutions. College or university educators who participate in the boot camp will then be encouraged to form student teams that will represent their academic institutions. The teams will include four members—three students and one faculty adviser. The teams should submit a 5-minute video pitch presentation about their startup idea. From the overall number of entries, top 10 teams will be selected for further mentoring sessions. The finalists will then pitch their startup ideas to a panel of judges consisting of local startup experts during the national finals. 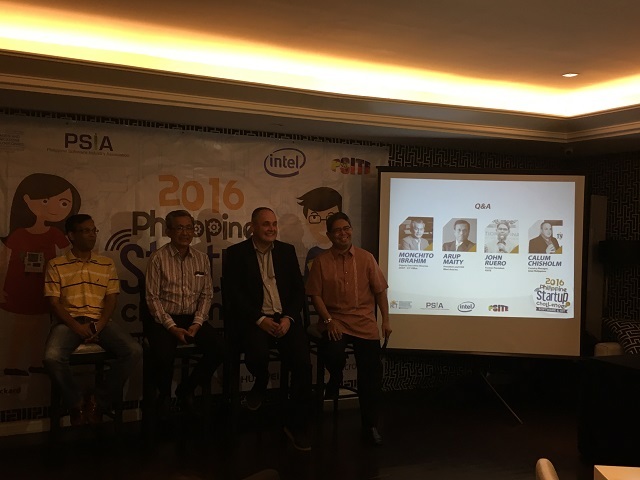 For IoT entries, Intel Philippines will be selecting 20 entries who will be receiving Intel boards which they can use in developing their innovations. “I’m hoping the next administration, through our office, will support this. That they’d also share our passion and excitement in doing this,” Ibrahim said.